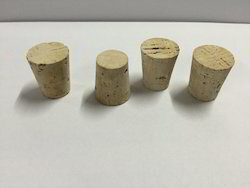 Cork Rings are also known by the name of cork stands and are suitable for supporting round bottom flasks. Here, our expertise lies in turning as well as shaping customized grips for these cork rings using multiple grade of cork material as per the specific requirements of the customers. Banking on our enriched industry experience, we are able to supply Wine Corks.